It’s Memorial Day Weekend which means is time for the much anticipated California Roots Festival! Over 45 bands and musicians perform on three stages throughout the Monterey County Fair & Event Center for this three-day reggae music fest. 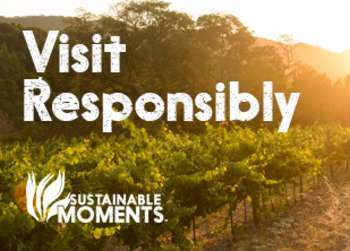 Major acts include Slightly Stoopid, Damian "Jr Gong" Marley, Rebelution, Michael Franti, Pepper and many more! Friday-Sunday. 2004 Fairgrounds Road, Monterey. Various ticket prices. 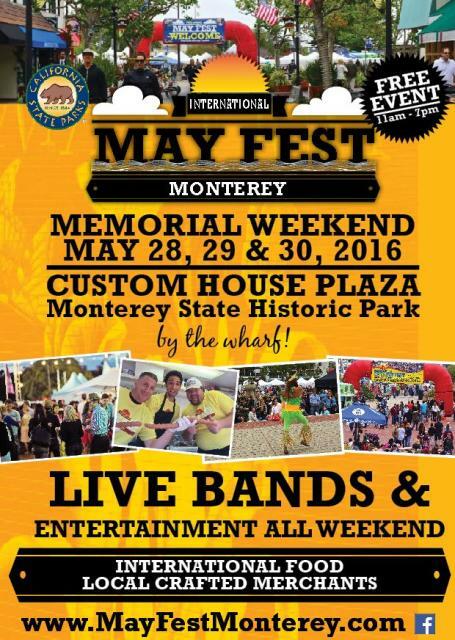 This Memorial Day Weekend, come to Custom House Plaza for International May Fest! This free, family-friendly festival features an incredible array of international food, a variety of beers, and nonstop entertainment including music and dance. There will also be local fruit and flower booths as well as craft vendors to enjoy. Saturday-Monday from 11am-6pm. 4 Custom House Plaza, Monterey. Free event. Enjoy a night of an experiential art installation from London based artist and designer Roberta Sian Graham. Tonight the Henry Miller Library plays host to ‘Nothing Happened’ which includes live elements performed by local artists and musicians. 7:30pm. 48603 Highway 1, Big Sur. Donations gladly accepted. 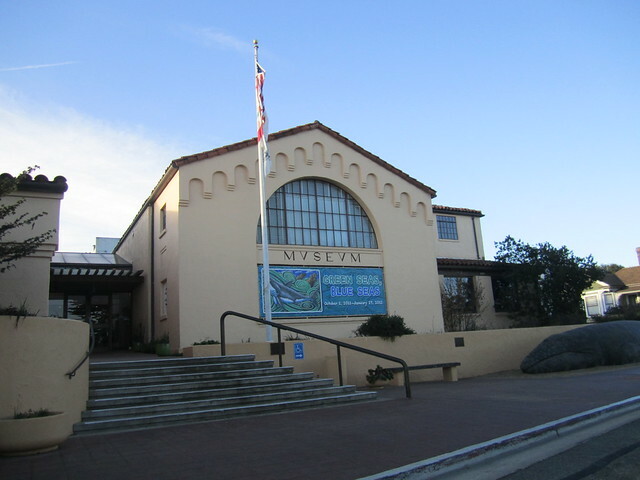 Discover the wonderful world of birds at the Pacific Grove Museum of Natural History. Curious kids can conduct experiments with bird feathers, see what it’s like to eat like a bird, and make a window cling to take home and help protect birds in your neighborhood. 11am-3pm. 165 Forest Avenue, Pacific Grove. Free event. Bring the kiddos out to the Henry Miller Library in Big Sur for the Kids Circus Workshop. Today lucky tots will learn a few basics of the circus including juggling, clowning and circus games. 12pm-2pm. 48603 Highway 1, Big Sur. $20. Find your inner showgirl today at the Henry Miller Library. Let the low-key atmosphere put you at ease for learning the basics of expressing your playful sensuality during this burlesque workshop for adults. 3pm-5pm. 48603 Highway 1, Big Sur. $20-$30. It’s Cabaret Under the Stars, and redwood trees, at the Henry Miller Library tonight! Don’t miss the Armitage Shanks, one of the most sought after burlesque and cabaret performers in the world. 7:30pm. 48603 Highway 1, Big Sur. $20. Local folk favorites Songs Hot Box Harry Taught Us perform tonight at the Fernwood Tavern. 10pm. 47200 Highway 1, Big Sur. Free event. St. Mary’s Episcopal Church in Pacific Grove hosts One Lane Bridge today for a fabulous folk and Irish inspired performance. The dynamic acoustic trio of Grammy award-winning guitarist William Coulter, cellist Aria DiSalvio, and fiddler John Weed will mesmerize and delight you with their unique, artful arrangements of traditional and contemporary tunes. 3pm-5pm. Edwards Hall 146 12th St, Pacific Grove. 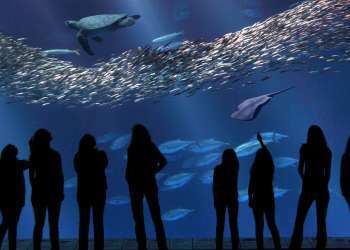 $20 for adults and $10 for children. Commemorate Memorial Day on the lawn of historic Colton Hall with a special concert from the Monterey County Pops! "To Remember and Honor" will present a program of pops, patriotic, and Americana favorites. 2pm. 570 Pacific Street, Monterey. Free event.